Our Victorian novelty ‘Fake ID’ Card – yours for just $69. Features a holographic overlay on front/rear of the card. We use a specialised ID printer to create this card on genuine bank-quality plastic so we promise you won’t be disappointed with the quality. If you are ordering this from Melbourne we have good news – since our warehouse is also located in Melbourne this card will reach you even quicker! 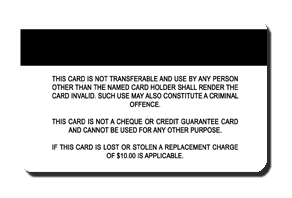 Order now and get this VIC card in as little as 3 days* from when we receive payment. *3 days from when we receive payment, and provided you use express post and “Skip The Queue” service that we offer. This card is a novelty Victorian card. 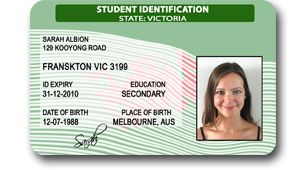 It is not a fake drivers license nor is it made at VicRoads.